MY DAD TOOK A GLASS AND HALF FILLED IT WITH WATER. THIS GLASS SAYS A LOT ABOUT YOU SON. 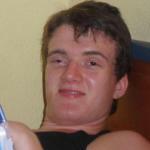 IS IT HALF FULL OR HALL EMPTY? 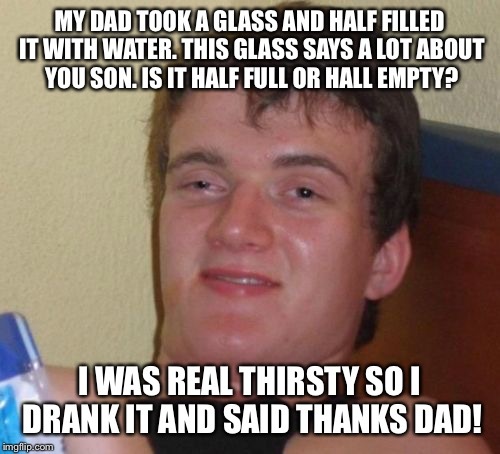 I WAS REAL THIRSTY SO I DRANK IT AND SAID THANKS DAD!